In a recent phone interview with AlterNet, Davis, founder and president of the Wyoming-based Environmental Health Trust, discussed the cellphone industry’s longstanding covert battle against inconvenient science, strategies it has learned from the tobacco industry, our chemical addiction to mobile devices, and simple ways we can limit our exposure without losing touch with civilization. Brad Jacobson: You’ve written that the cellphone industry’s long-term strategy for responding to studies showing its products damage DNA is to “war-game the science.” What exactly does this strategy entail? Devra Davis: The example in the 1990s, which is documented in my book, was that [University of Washington researchers] Henry Lai and Narendra N.P. 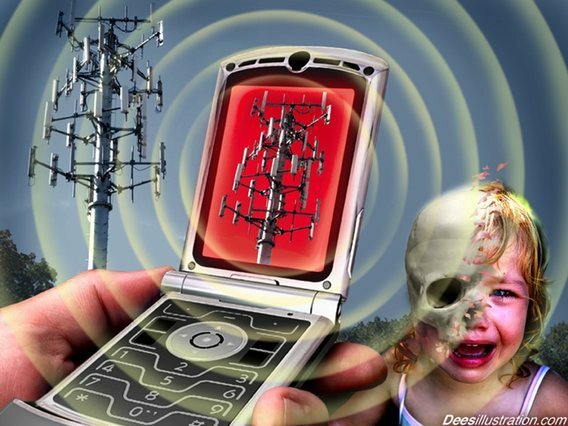 Singh found significant evidence of DNA damage caused by cellphone light radiation comparable almost to the damage you would get from X-rays, which is ionizing. At the time, it was generally believed by some people that non-ionizing radiation, which comes from a cellphone, could not possibly be physically damaging because it was so weak. Well, it’s true that non-ionizing radiation lacks the power to have damage. But its damage seems to come from its modulated signal. So every 900 milliseconds, if you have a cellphone in your pocket, it’s getting half of that radiation which is getting into you as it seeks the signal from the tower. So the industry understood this could be of enormous consequences, so they did three things. First, they wrote to the university and tried to get the scientists fired for violating the rules of the contract that they were working under at the time. They then wrote to NIH [National Institutes of Health]—and all of this has been documented in my book and there’s been no lawsuits filed about any of the statements I’m making to you—and they accused the scientists of fraud for misusing funds to do the study. Then, when that didn’t work they actually had somebody meet with the journal editors to try to get the article accepted for publication unaccepted.